The word “pride” has never been a natural fit with disabled people in New Zealand. Disabled people have a history of isolation and exclusion. As a community, we’ve been separated from society; placed in institutions and locked away. The 1981 Telethon – not a high-water mark in the way television media represented disabled people – marked the first time we were seen on the small screen for an extended period of time. This event brought disabled people into the homes of New Zealanders. For the first time, Kiwis could identify with the people they saw on screen. Conversations like, “My neighbour looks like that person” or “That woman down the street looks a bit like her”. These embryonic beginnings began to humanise disabled people as people just like the neighbour down the road or a working colleague. But much more work was needed to fully integrate disabled people into society. Fast forward 35 years to September 2016. The Rio Paralympics and the television coverage have had a similar impact on New Zealanders’ understanding and perception of disabled people. This celebration of sport has enabled the public to see our athletes perform while also allowing us to see how they got to the start line. We have developed relationships with these athletes; we are invested in them. As a nation, we loved watching these athletes celebrate their athleticism. Traditionally, disabled people have been portrayed in the media as either overcoming their disability in order to achieve great feats of athletic prowess, or objects of pity. We are not portrayed, and therefore not seen, for who we are – a diverse community of people. It’s now time for disabled people in New Zealand to claim our place as full members of society. It’s time for us to show our diversity and our culture, express our creativity and tell our stories. Some of these stories will reflect moments of joy, moments of melancholy. Others will reflect moments of frustration and anger – and that’s okay. It is time for disabled people and the broader public to come together and celebrate our common humanity; to celebrate the identity and pride of disabled people; and foster connections, networks and partnerships. It is time for disabled people to claim our place. It is time for Disability Pride Week, to be held in Wellington from Monday 28 November to Saturday 3 December, the UN’s annual World Disability Day. Due to our communities’ history of isolation, we need a place to call our own. A place we know to be safe, and that we know we can go back to when we need to. A place that we can say as a community, “This is ‘Our Place’”. Te Papa is the right location to launch the inaugural Disability Pride Week with an event on Sunday 27 November, bringing together disabled people and our friends and supporters to acknowledge our past, recognise the present and aspire for our collective future. Nick Ruane, one of the organisers of Disability Pride Week, is a board member of Disabled Persons Assembly and Community Connections. He also sits on several government appointed boards to improve the lives of disabled people in New Zealand. A trained teacher, he has experience working in both the private and public sectors. 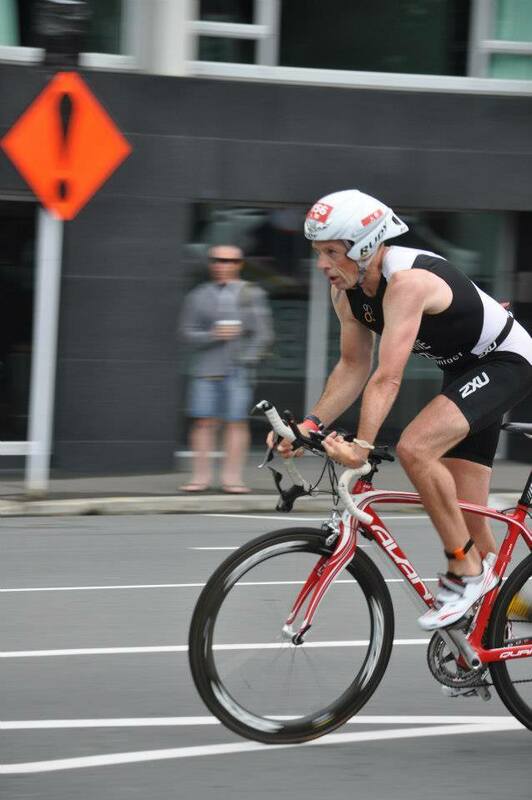 In 2011, he represented New Zealand in the para triathlon, becoming the first New Zealand athlete to win a medal in international competition. Original generation time 1.7327 seconds. Cache Loaded in: 0.0423 seconds.